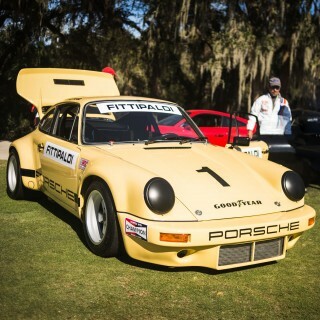 Look at this Porsche. Not very special, right? 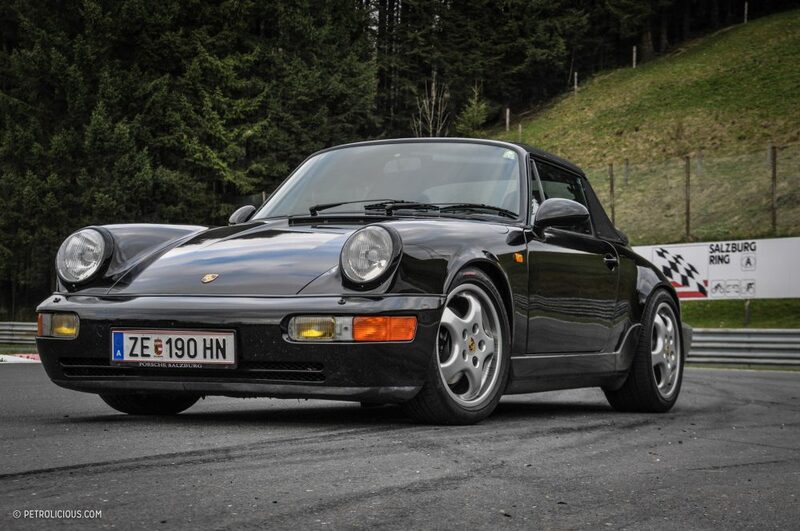 Just a random 964 Carrera 4. And it would be, if it wasn’t for its previous owner. Roland Ratzenberger became famous for being the “other” driver to get killed in that horrible Grand Prix weekend in 1994 that also claimed the life of the great Ayrton Senna. 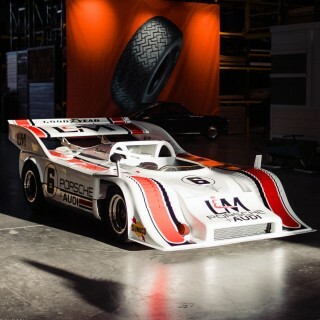 Besides his career spent in racing cars, this Porsche is proof of the fact that Ratzenberger loved to drive more than anything; he did it for a living, he brought that passion to the road, and he did it tastefully. 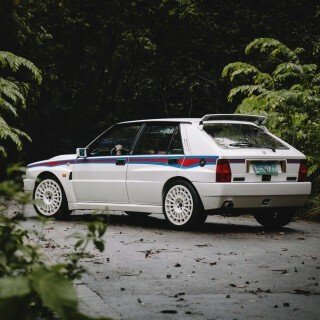 That legacy endures, and now it’s time to go on an adventure with a car that belonged to a man who made driving his life, and was truly one of us. 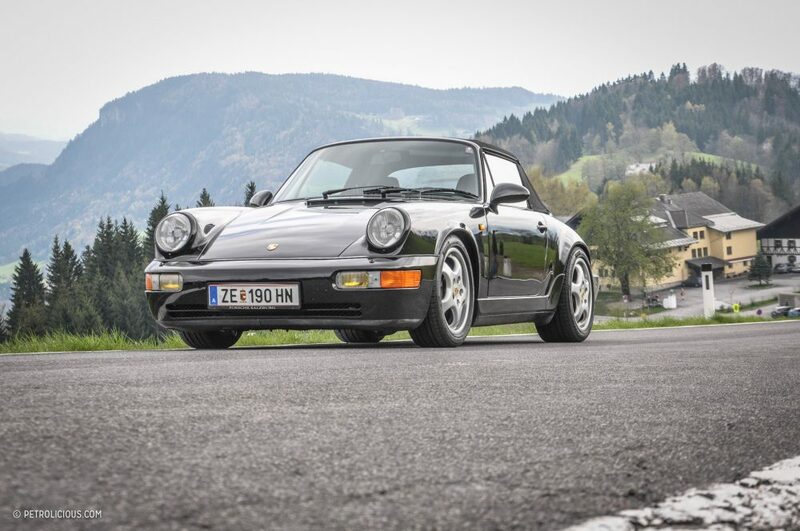 It might not be considered a particularly memorable version of the Porsche 911, but a 1990 Carrera 4 is still a lively and fast car; 250 horsepower, and capable of 160 mph. 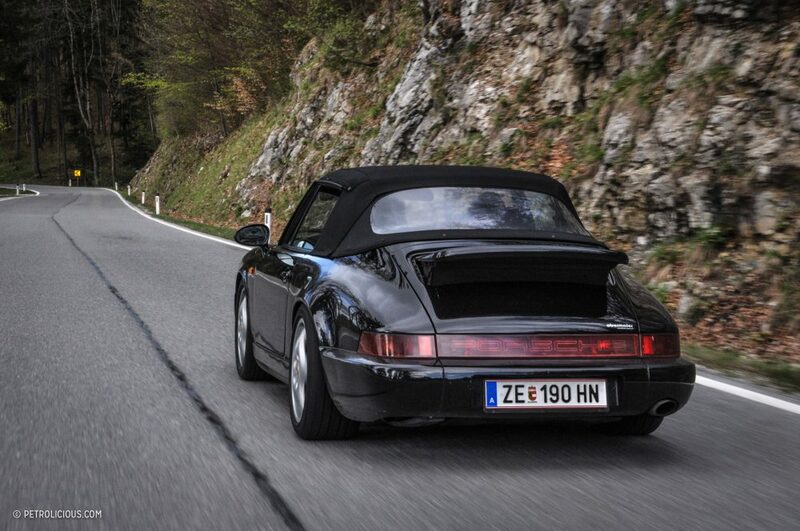 In convertible form, with the wind messing with your hair and whipping around the cabin, it gets even better. 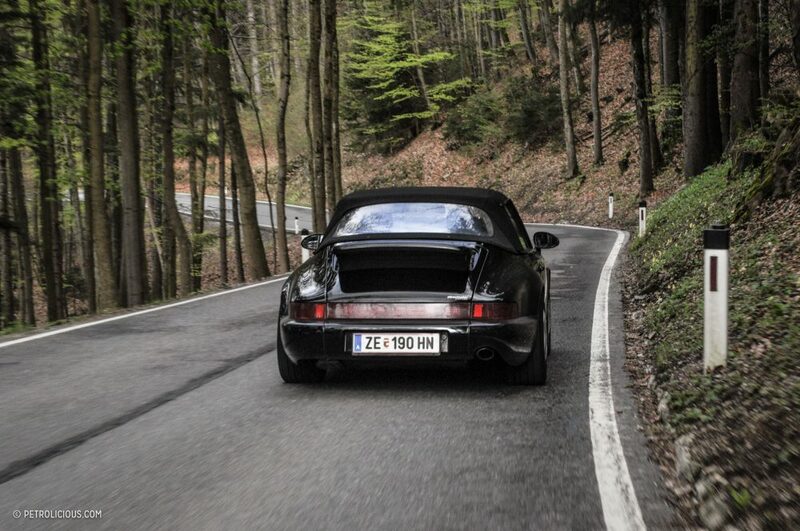 This is pure driving indulgence. 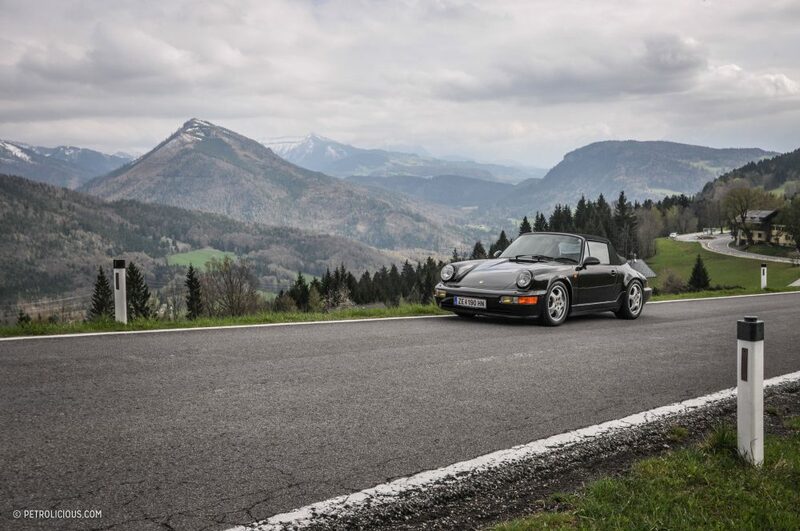 Roland Ratzenberger’s former 911 is thundering down a mountain road above his home town of Salzburg. 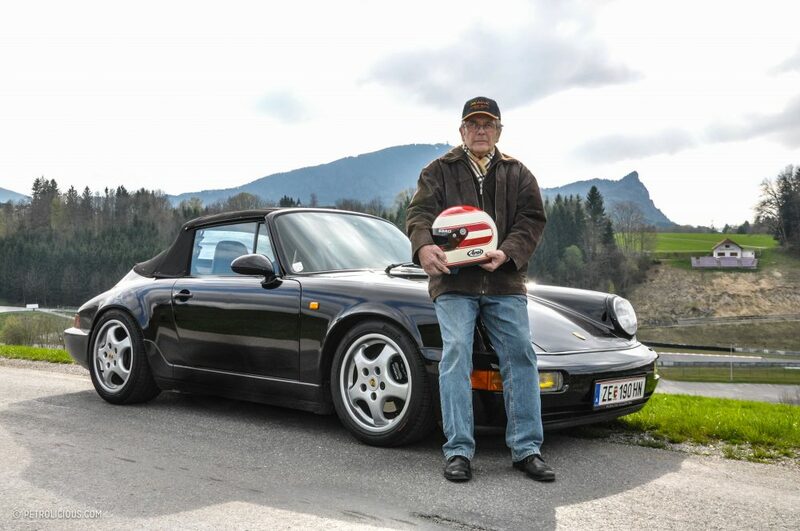 I’m in great company too—in the passenger seat is Rudolf Ratzenberger, Roland’s father. He hasn’t sat there for over 20 years. A single tear is in his eye. “The wind,” he smiles apologetically. Who wouldn’t understand his emotion? 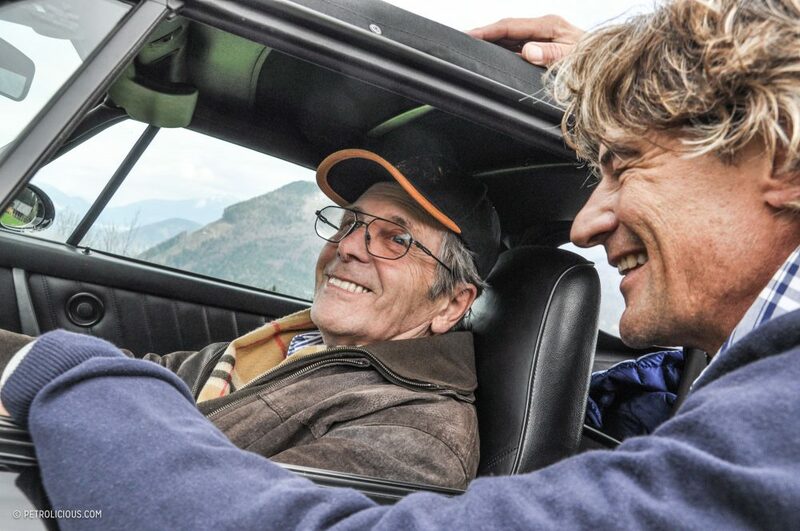 We’re on the Gaisberg, a mountain easily recognizable by the transmitter at the top, and like the car we’ve taken here, it has a bit of a history. The winding road draped over it is not only scenic, but was also used for a wonderful hillclimb. 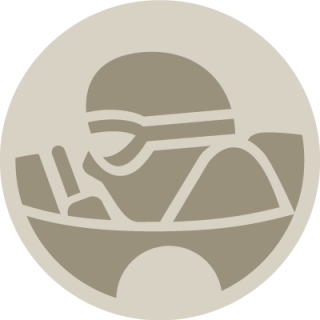 Between 1929 and 1969, the Gaisbergrennen was won by men like Caracciola, Von Brauchitsch, Stuck, von Trips, Rindt, and Lauda. 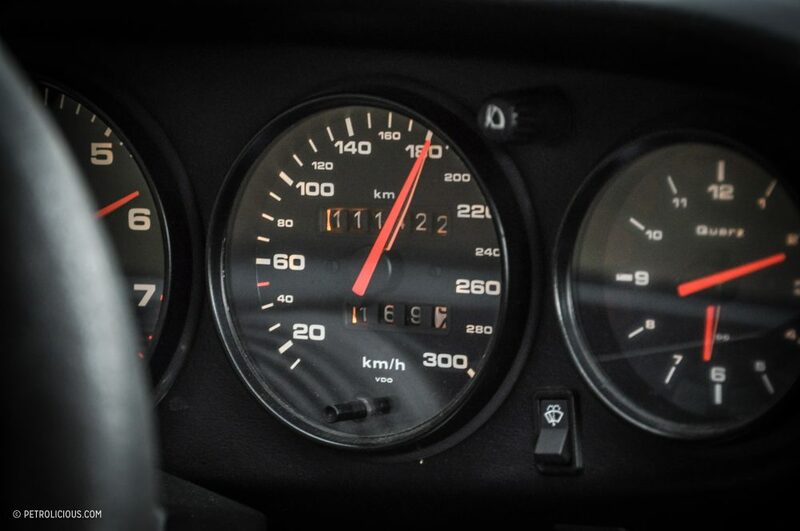 A certain driver named Roland Ratzenberger also set some blistering times on this road, because whenever he was home he used to take his Porsche and hammer it up here. It was his way of unwinding, relaxing, and cherishing his natural surroundings. 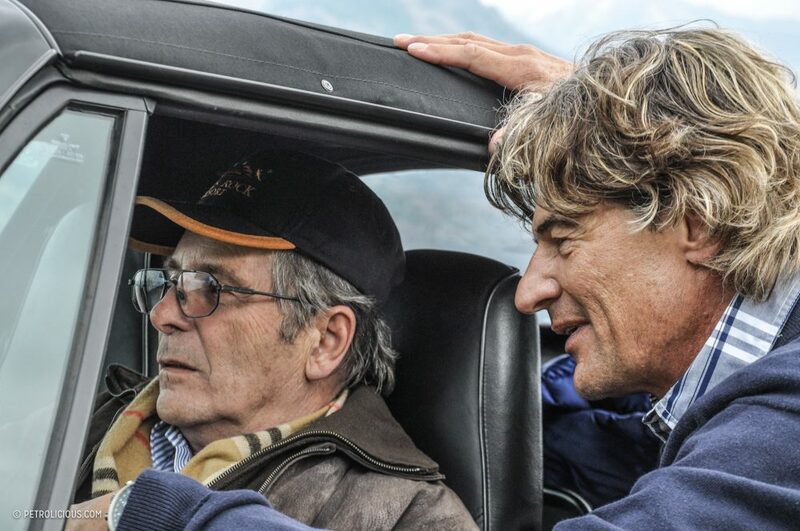 Even during his off days, he could be found in the driver’s seat. When Ratzenberger passed away that awful weekend in 1994, he wasn’t very well known to the general public yet. He was, however, an accomplished racer. Born in 1960, there was a poster of Austrian World Champion Jochen Rindt on the bedroom wall of a young Roland Ratzenberger. His parents wanted him to have a “normal” profession, but Roland was adamant from very early on: he was going to be a racing driver. 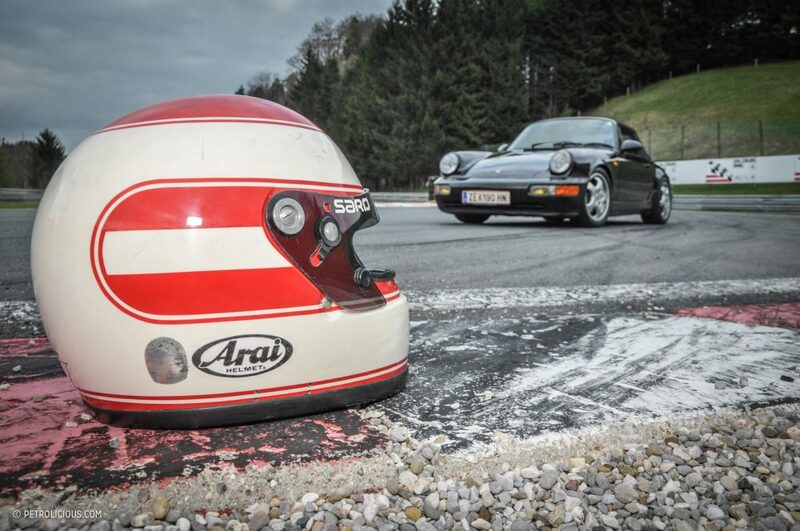 He had a habit of sneaking under the gates of the nearby Salzburgring race track, and years later got in touch with Austrian F1 pundit Gerhard Kuntschik, who advised the aspiring racer to look for employment at the racing school located at the track. He took the advice and then soon after saw his racing career take off into Formula Ford, winning the famous “Festival” in 1986, and then he made his way into F3 and the World Touring Car Championship. A full-on attack on F3 fell through in 1988, so a rather disillusioned Ratzenberger focused on the British Touring Car Championship instead. That proved to be lucky, because it was there that he first got in touch with Toyota. The following year he was racing in the Japanese Group C championship with SARD Toyota. 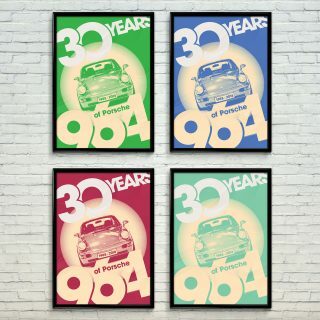 This got him properly noticed and bagged him a deal with Toyota Racing Development (TRD), to be a test driver in 1990, whilst still racing with SARD and competing in the Japanese Formula 3000 series. Ratzenberger was highly valued by Toyota, and rightfully so. 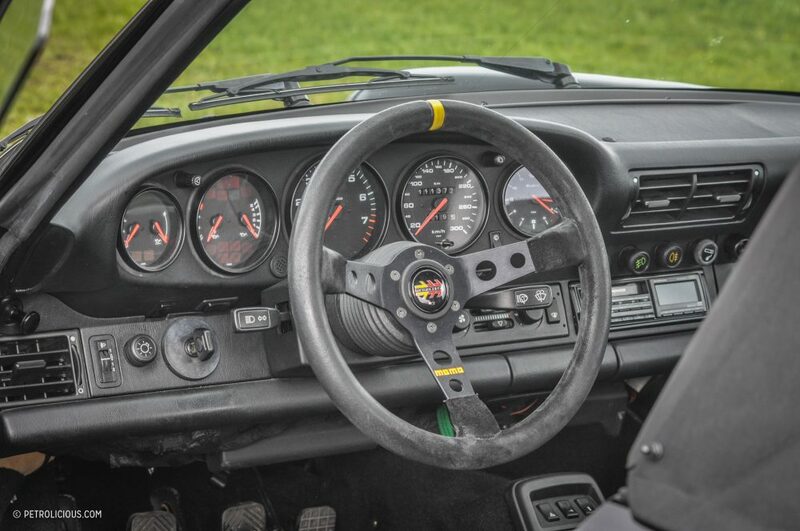 He competed in the 24 Hours of Le Mans several times for the Japanese marque, coming in fifth overall and winning his class in 1993, following a second-in-class finish the year prior. Rumor has it that Ratzenberger was paid the healthy sum of 100,000 D-Mark to compete at Le Mans. But not only did he manage to make a great living out of his racing, he also made many friends throughout his career. 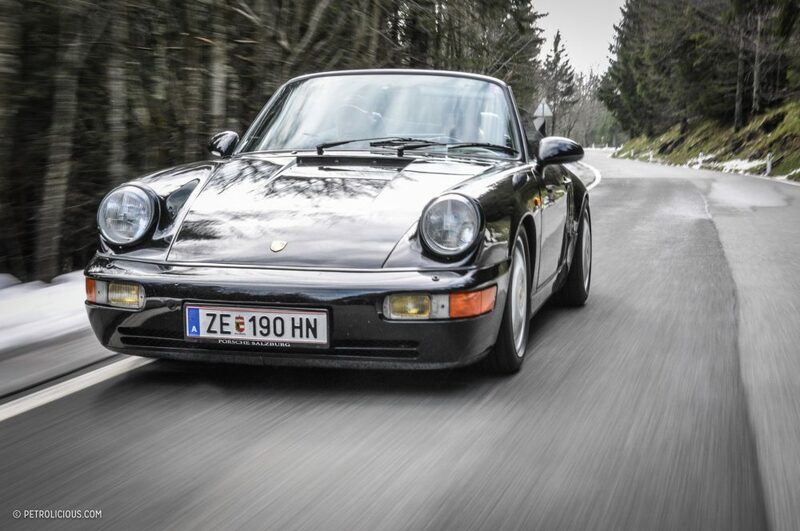 Ratzenberger did indulge every once in a while though: he bought this Porsche, for instance. 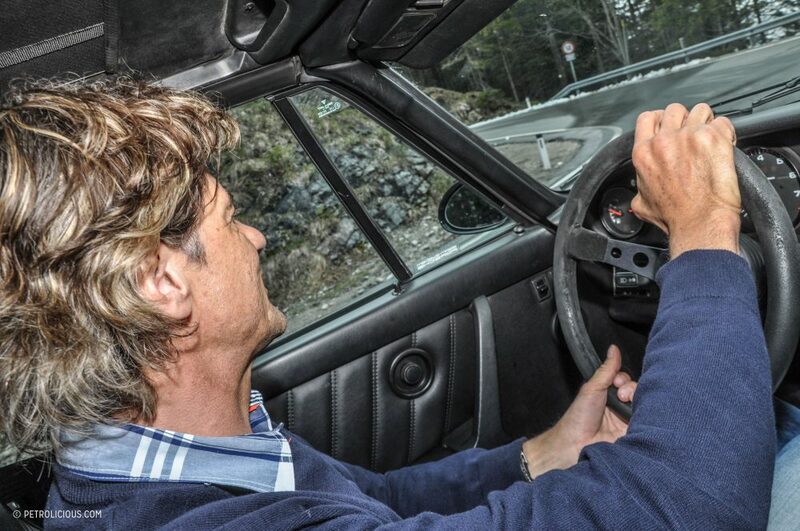 Salo was surprised when he heard about Ratzenberger’s purchase. 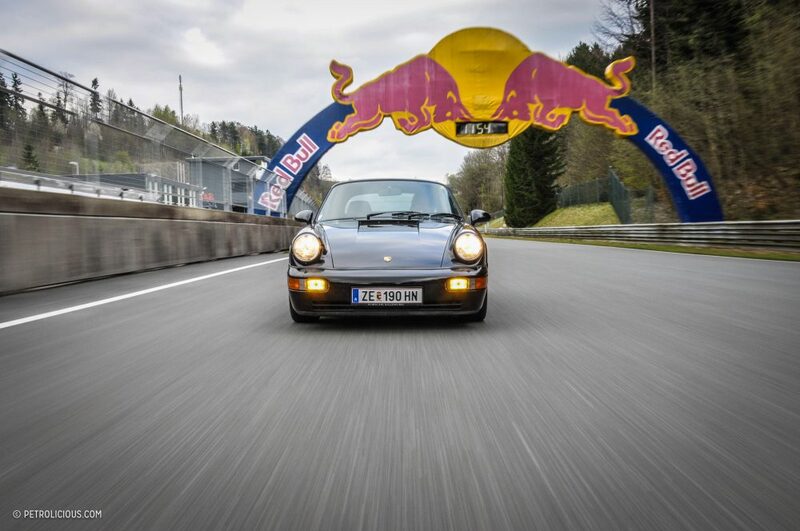 “He just suddenly had a Porsche. I had no idea where it came from, but I have to admit I got a bit jealous, so I bought exactly the same car. Well, not exactly. 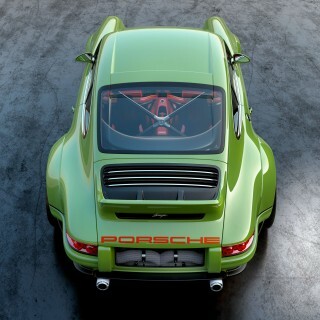 Mine was a 993, so it was better,” he grins. Ratzenberger eventually made it to Formula One, in 1994, but few know that he almost reached that pinnacle series as early as 1991 when he came tantalizingly close to racing for the then new Jordan team. 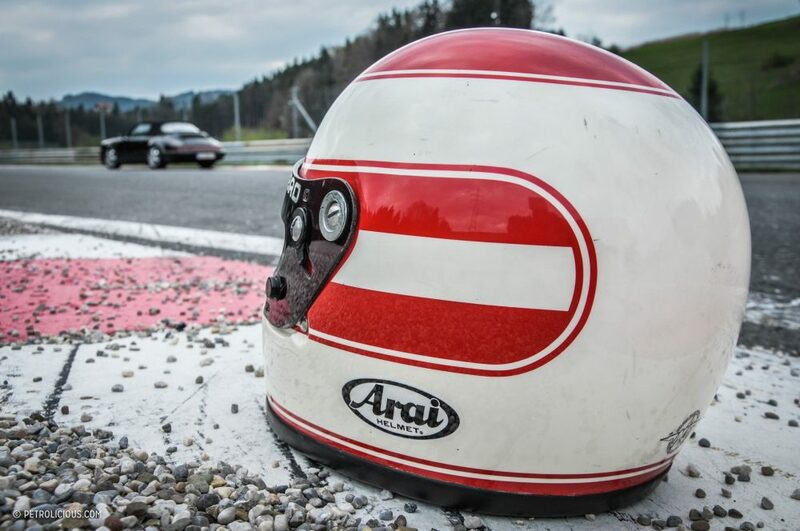 A deal was in place for an Austrian beer brand to exclusively sell their product via BP stations, and BP was one of the Jordan team’s main sponsors that year, so it wasn’t inconceivable that an Austrian would take one of the seats at Jordan. The deal fell through at the last minute, leaving Ratzenberger with nothing. 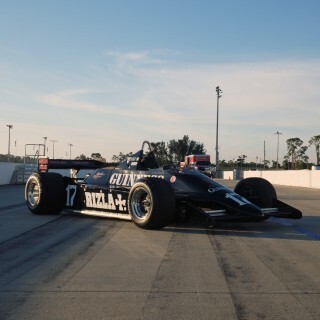 The drive went to Bertrand Gachot instead. We all know what happened next: Gachot ended up in jail for a few months and was replaced at Spa by a rookie named Michael Schumacher. 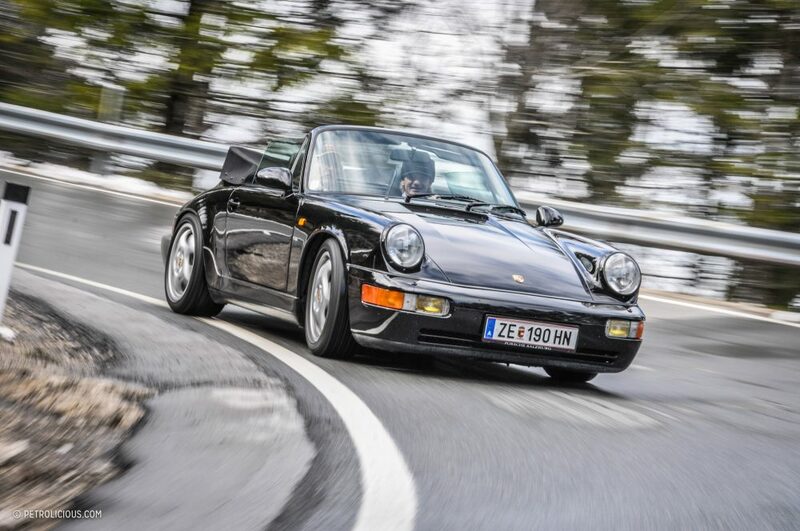 Ratzenberger was living in Monaco when he bought his 911, and the Monegasque license plate number is still engraved in the door windows. “But at some point, he had to move to the UK,” says Manzl, “and do you know how he did it? 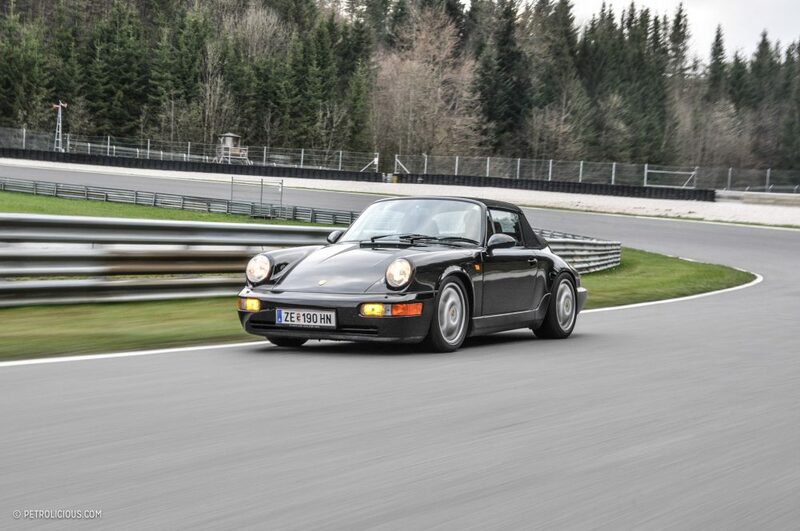 He simply chucked his belongings in his 911 and drove back and forth a few times. Can you imagine? 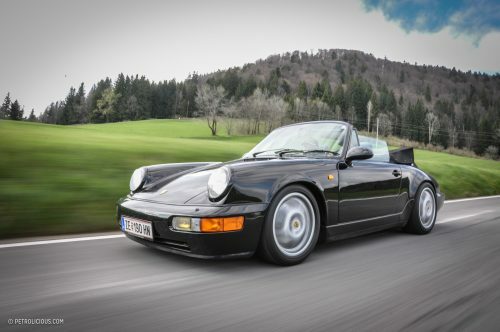 A 911 with an open top and a chair and closet sticking out of it thundering through France? 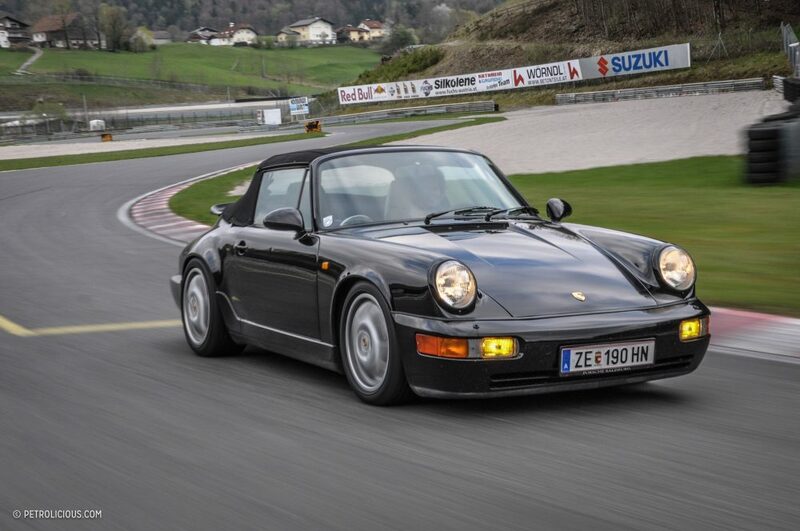 Typical Roland.” Manzl roars with laughter, and does so again when he thinks back to the time when someone saw him next to Ratzenberger in the 911 and thought he was Roland’s girlfriend. “I used to have long hair, you know,” laughs Manzl. Beautiful article. Loved it. I’ll keep coming back for more. Guitar Slinger…….are you sober bromigo? Its articles like this one that keep me coming back to the site. Thanks, deeply. Guitar Slinger, or Scheisse Slinger? Being reminded of that weekend day in May 1994 first thing in the morning … not exactly an auspicious and positive way to start the day … sigh . Oh …. and FYI my little thumbs downers … in case I forgot to mention … Senna and his family were and still are close acquaintances of mine … so yeah … that weekend cut deep .. and if you lived in Sao Paulo … you’d know ” Um Luto em Maio ” [ ” One Mourning in May ” ] was a composition of mine dedicated to Senna … with all the proceeds going to the Senna Foundation .